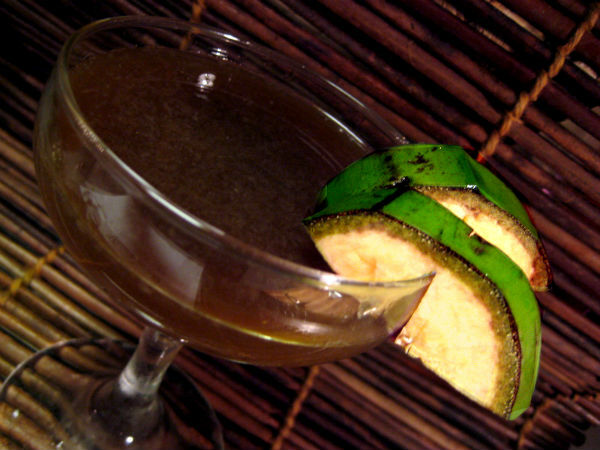 It`s made with one unripe apple banana, dark muscovado sugar and water. Muscovado sugar comes in two varieties here, light and dark. The light is not white, it´s light to medium brown and has a rich wonderful flavor. 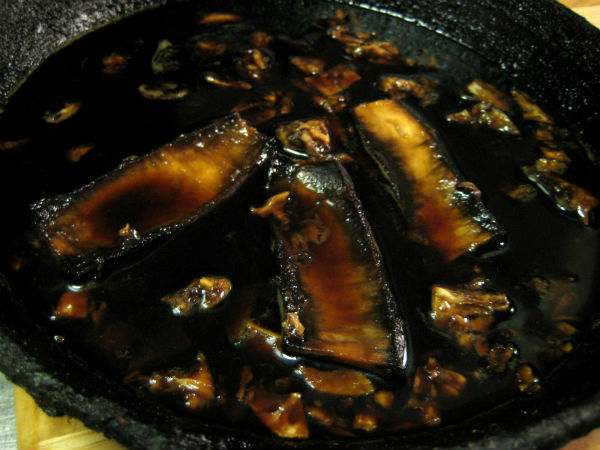 The flavor of the dark is a lot more towards the flavors of molasses and also has a hint of liquorice to it. 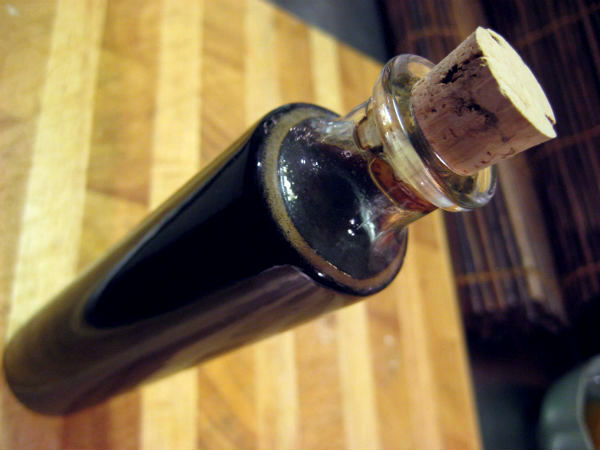 The finished syrup is a very deep dark brown, almost black. 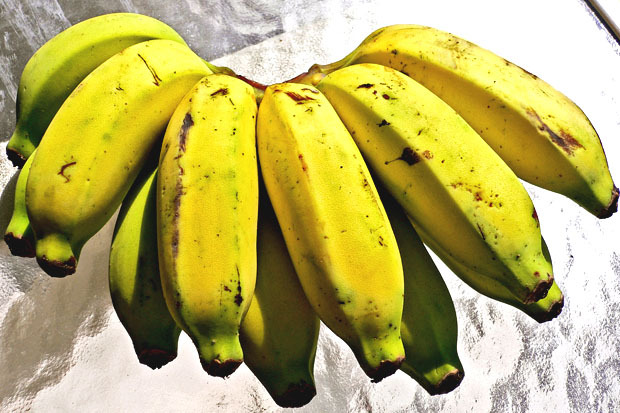 Apple bananas also called Manzano bananas are short, plump and fat in shape and their flesh’s texture is firm when young almost like plantains, but tender and creamy when ripe. Young Apple bananas are both tangy and sweet with hints of apple. As they ripens, they will develop a far more tropical flavor profile, with notes of pineapple and strawberry. The Apple banana has a complex scent marked by a strong tart-apple aroma. Ripe Apple bananas should also make a nice syrup with a stronger banana flavor but i wanted a “greenish” type of flavor so i used a green unripe Apple banana which i got from a Thai shop. Another idea could be to use half unripe and half ripe piece of Apple banana with the “light” type muscovado sugar to make a sweeter more bana-ish type of syrup as well. So what you do is adding in a 2:1 ratio sugar to water in a small pan and make the syrup, let cool and pour into a vessel and set aside. Clean the pan and add slices of the banana which you mash with a fork then add the syrup and let it cook up and when it cooks, take immediately off the heat because you do not want the sugar to caramelize. Leave to cool for at least a couple hours or overnight for the flavors to settle, then strain and bottle in a clean bottle. Before setting aside i turned the pieces with peel upside down to get as flavor much as possible out of the green peel. It should last a couple weeks in the fridge. I made only a small batch since i don`t use banana syrup in all drinks, i took about 1 cup(2.5dl) sugar and half of that in water and then one Apple banana. The syrup turned out really nice with a deep semi-sweet green bananish and molasses like flavor. I decided to make a variation of the “Lava flow” using the green banana syrup instead of a fresh banana to take away that sweet banana flavor and make it more “green” and unsweet if that`s the word when there´s Coco Real Cream of Coconut in the drink….but i wanted to avoid the over sweetness which the combination of Cream of Coconut AND a whole ripe banana could be. I also added a half ounce of fresh lime to add some freshness and zest to the mix. Mix 2 -Rinse the blender and blend pineapple juice, green apple banana syrup and Coco Real with 1 cup crushed ice until smooth. Slowly pour the blended mix into the glass with the rum and strawberries mix which should start to creep up the sides of the glass creating a lava flow effect. 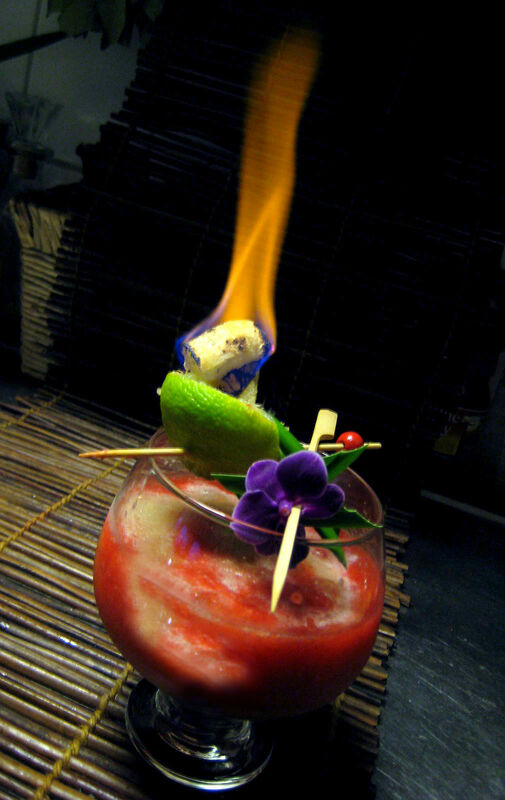 Garnish with what you have on hand, a pineapple wedge, tropical orchid etc and a flaming lime shell. To make the flaming lime shell: Take a half spent lime shell to use as “bowl” and place 2-3 croutons in it that are drenched in lemon extract (burns longer and brighter) or 151 overproof rum, make sure there´s nothing close to the drink above it and set it alight. Now that`s a drink! best suitable for the pool in hot tropical weather actually but one can dream right? Shake together with ice cubes and strain into a chilled cocktail coupe or glass and garnish with two slices of green apple banana. Be careful with this one! if you want a milder daiquiri use another good white or aged rum! Mix everything with crushed ice and dump into an goblet and top with more crushed ice and garnish with a piece of green apple banana on the side of the glass and a speared green banana slice and tropical orchid. 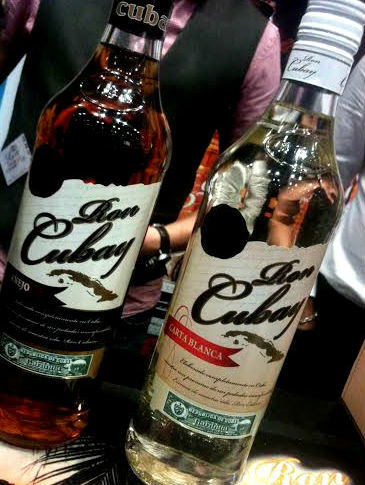 Rum from Cuba – Ron Cubay! Ron Cubay is a rum i only had a chance to briefly try at the 2013 UK Rumfest as their table was swamped, and at this last years rumfest i tried them again and up for review i have here the 3 year old white rum, Carta Blanca, the Anejo 7 anos and the Ron Cubay 10 year old Especial Reserva. 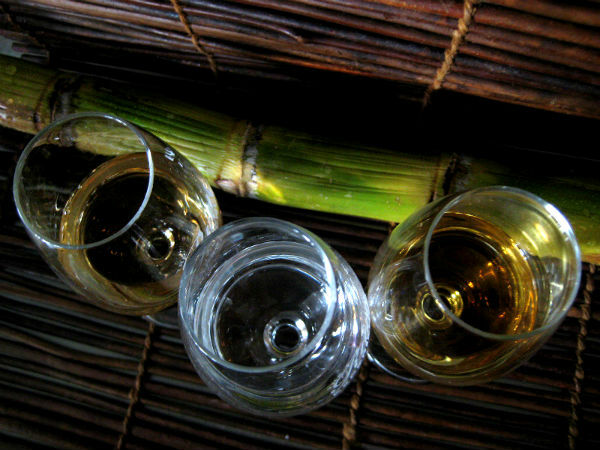 They are rums of the Spanish style, light, elegant and typically Cuban. In Cuba rum was first made in the 1700th century when molasses from the Far East was brought there by Columbus via Spain. Growing well in Cuba, the sugarcane became the most important crop and in the 19th century rum production really got going. Ron Cubay was founded in 1964 in Santo Dominco, Villa Clara, centrally located in Cuba and was only intended for the Cuban market until 2010 when the first shipments for export arrived in Europe and in 2013 i first saw it at the UK Rumfest and briefly wrote about it since a quick tasting usually only gives a very brief first impression. 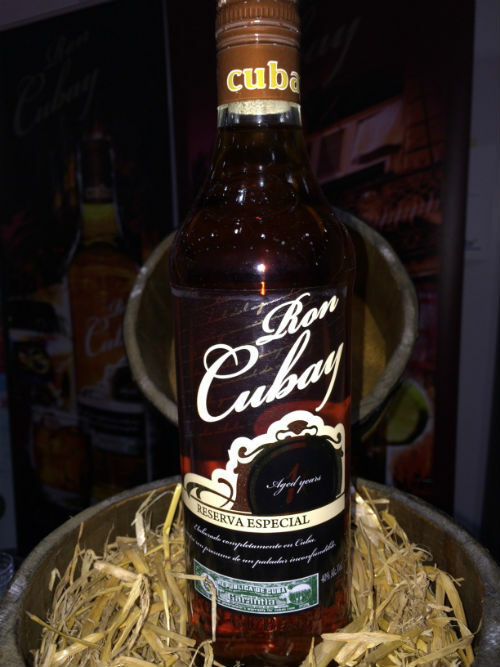 Ron Cubay is produced with only Cuban molasses from sugar cane since the Cuban legislation forbids using foreign molasses to produce Cuban rum and they are produced by the distilleries of Cuba Ron S.A which also produce Havana Club and distributed in the UK by JBE Imports. Distillation is done with a Column Still which typically gives these lighter style rums. The rums are aged in American white oak ex whiskey barrels which are re-charred. Nothing is added and Ron Cubay is a 100% natural product with 100% Cuban materials. Only 3 out of 5 expressions are marketed in the UK, the 3-year-old Carta Blanca,the 7-year-old Anejo and the 10-year-old Anejo Reserva Especial, but maybe also the new Ron Cubay Extra Viejo which they had up for sampling at the 2014 UK Rumfest is released for purchase in the UK – a light gold colored rum which is mix of white rum and extra aged rum reserves. That is old Cuban rums that are aged for an average of seven years and then some of the best whites that are aged for nearly 13 years in white American oak barrels. From what i remember of the taste of this rum, it had a quite intense fruity flavor, balanced and no harshness at all which was expected. The bottles are individually numbered and comes in a velvet leather effect gift box. The other two rums are a 4-year-old Carta Dorada and a 5-year-old Anejo Suave, which naturally i haven`t tried, neither do i know if they are able for purchase in Europe, but i guess not, at least not yet. The Carta Blanca (38% ABV) is designed for cocktails and is a vibrant, only slightly sweet rum. The color is white with faint yellowish tones. 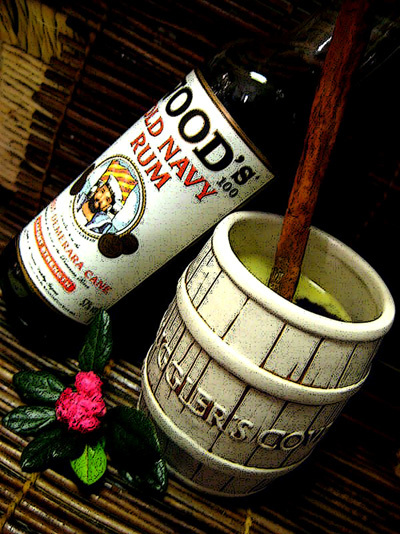 On the nose it`s pretty “green and young”, with green sugarcane and some slight pepper notes, it´s a typical daiquiri rum. In the mouth you get the same green freshness with a little fruitiness and slight sweetness, it´s not harsh at all but does have some refreshing pepper notes that makes this rum lively, definitely great for cocktails but can also be sipped neat if you wish. The anejo is 7 years old (38.0% ABV) and has a medium golden amber color. The nose has a lovely honeyed sweetness, with hints of caramel and toffee mixed with a mellow fruitness, like mashed apricots. In the mouth it´s fruity, just slightly woody, a bit of vanilla, hints of apricots and peaches and warm rich dark sugar. A good sipping rum but can of course also go in cocktails. Deep amber in color the Anejo Reserva Especial is 10 years old (40% ABV) it has a rich nose, like a golden stream of honey with apricot, peach and vanilla notes drenched in sugarcane and light hints of spice. In the mouth i feel more vanilla paired with honey, toffee and peaches, it´s warm and caressing and so soft, just a very slight hint of spices. 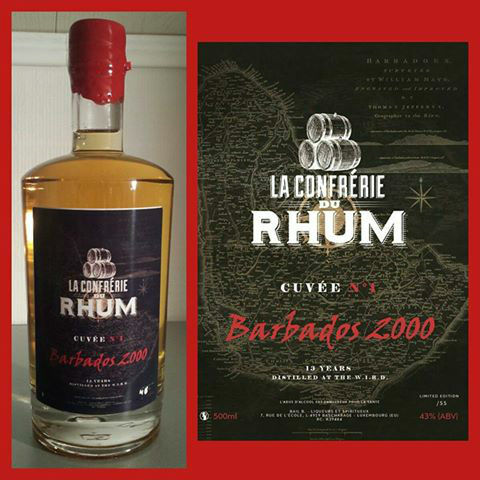 I think this rum has a lot to offer and even while it´s not so widely known yet everywhere it will be. 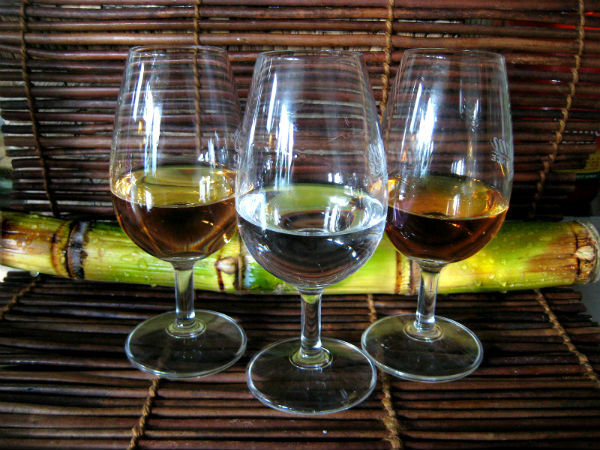 I`d use the Carta Blanca as a mixing rum, the Anejo, which i think i prefer of the three i`d use for both sipping and mixing and finally the Anejo Reserva Especial, for sipping when you want something easy on the palate to relax with. Shake ingredients with ice cubes and strain into a chilled cocktail coupe or glass. This drink is simple and yet it´s so perfect! if you want to really taste the rum in your drink this is the drink to make, rum, lime and sugar, the basis of so many cocktails not the least the tiki drinks! 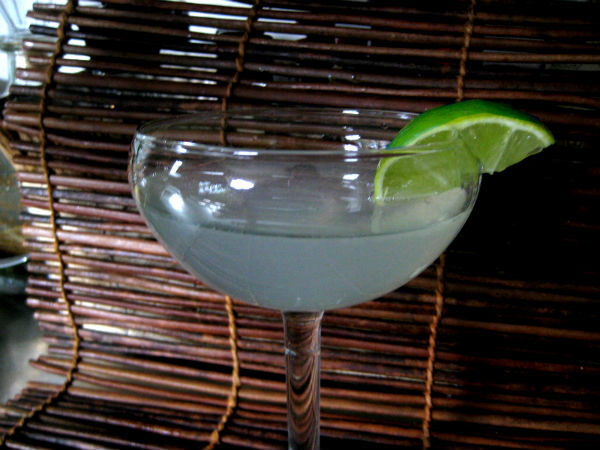 if there was no daiquiri invented there`d be no tiki drinks! Also this is the perfect cocktail to test how good a rum is because you cannot get a tasty daiquiri with a bad rum. With Ron Cubay the daiquiri is good so my thumb is up! Wood`s 100 is an excellent overproof navy rum from Guyana and distilled at the diamond distillery using a combination of spirits made in pot and column stills from sugarcane growing on the banks of the river Demerara. The appearance is dark and syrupy and the flavor is unrefined rich demerara with kick and depth. This rum is bursting with good flavors! and a plus in my book – it´s a bit stronger. Wood`s 100 was awarded ‘Distiller of the Year’ and ‘International Spirits Producer of the Year’ at the 2013 IWSC awards. 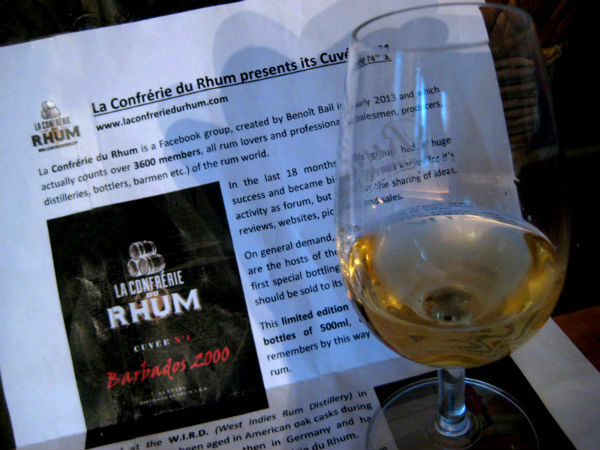 It´s been around a long time, more precisely for over a century before it was aqcuired by William Grant and Sons (who also owns the OVD demerara rum) in 2002, but it took me until this year´s UK Rumfest until i finally got to try it. I liked it at first sip – which i knew i would. 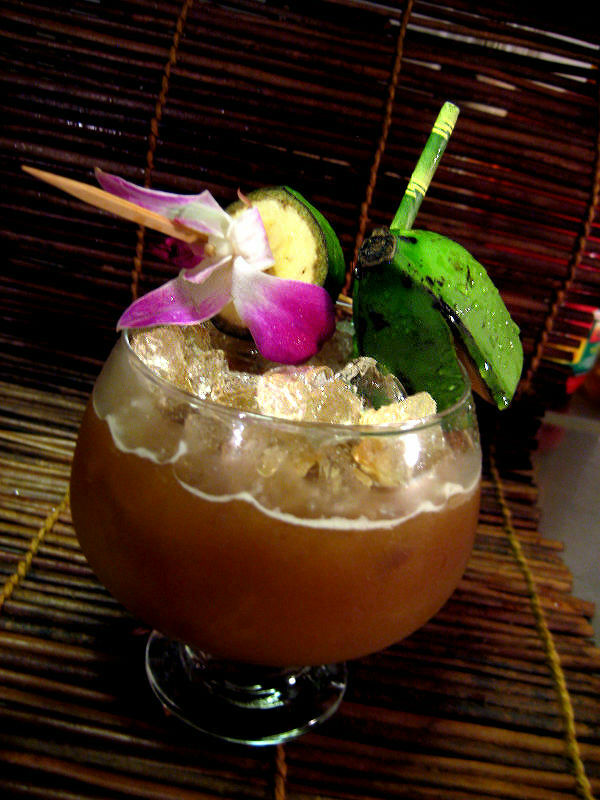 It`s a down to earth demerara rum, very well suited for tiki drinks. 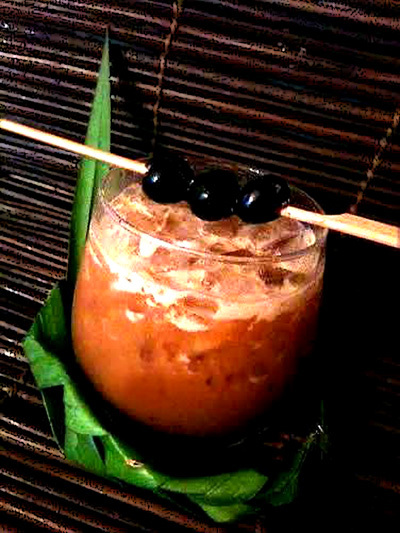 The nose promises of a flavorful demerara rum, and in the mouth it`s deep, dark and rich, you get burnt sugar and molasses, coffee and spice in a very upfront punch in the face kinda way. And that`s what I also expected from a wooden pot still demerara rum of that strength. 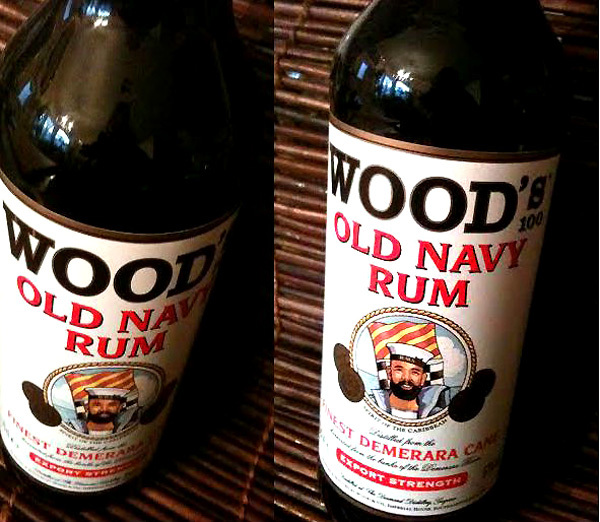 It`s 57% ABV or 114 proof, which is navy strength. It is said that in the old navy days sailors would “prove” the strength of their rum rations by checking that gunpowder doused with rum would still burn (thus verifying that rum was at least 57% ABV.) I once saw a gunpowder test at the Tales of the Cocktail where Lemon Hart 151 made the gunpowder ignite. The color of it is of course coming from some sort of coloring (caramel) that kinda black doesn`t come from the barrel. If it has sugar added or not I don`t know. Combine everything into a blender and blend at high speed for about 5 seconds. 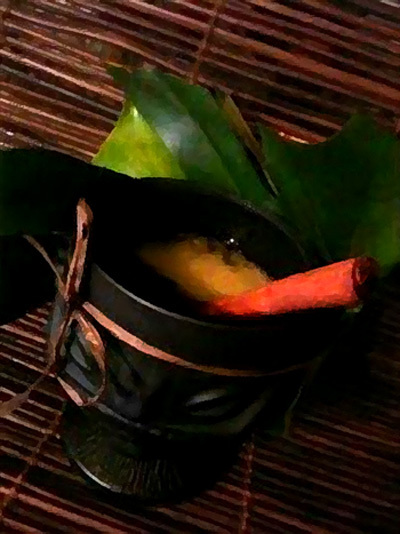 Pour into a tiki mug or a glass and garnish with 3 cherries speared on wood. The garnish is a slight variation from the original recipe where the wood spear is the dash instead of a piece of speared pineapple. Honey mix – 1 part Honey + 1 part Water, heat to dissolve the honey and then cool to room temp. 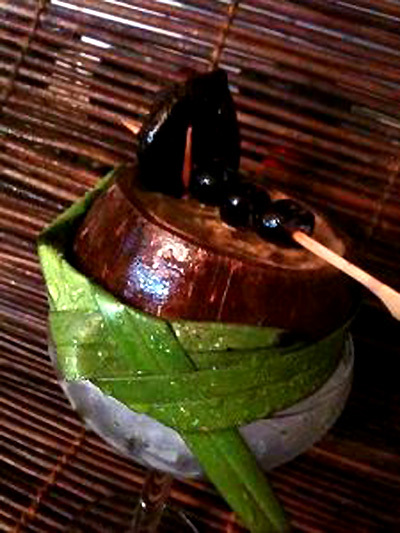 Garnish with 3 black cherries and a black anthurium flower. Pour juice, Maraschino, sugar and rum into a (preheated) mug and fill the rest of the mug with very hot tea. Stir well and then float a small piece of butter. Add a twist of lemon peel and 3-4 cloves. 1 tsp each of ground cloves, nutmeg, cinnamon and allspice. Beat sugar and butter together until thoroughly creamed and fluffy; beat in nutmeg, cinnamon, cloves, allspice and salt. Store in the fridge until needed. My conclusion: Wood´s 100 is a great mixer perfect for tiki drinks and other cocktails where you want a little bit of extra kick.